We are appreciated for you purchase our product! 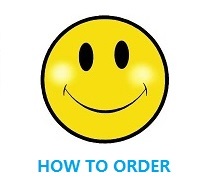 Here is the procedures to place your order here in our website. the system will ask you to regist. Please complete the registration form accordingly. If you have already registed please continue to place the order. 3, Selet the "delivery time"
4, and click the "Submit Order"
or wait to our sales staff contact with you through the email to confirm your order and inform you the info of our payment account. We only accept the Paypal payment transfer and full payment value should be received. The Paypal will inform us that your payment has been sent to us and how much we received to our Paypal account. 6, We will dispatch your order within 2 working days and the tracking number will be sent to your email box then. 7, If you want to place an order for more than one models please click "add to cart" and click the "Buy now" once you completed your selection. 8, Please write to us at ablescope@126.com at any time if you met any problem or you have any questions. Import Duties, Taxes and charges at your local Custom are NOT included in the item price or shipping cost. Customs fees are normally charged by the shipping company or collected when you pick the item up. We don't under-value merchandise or mark the item as gift on customs forms.Doing that is against Laws.